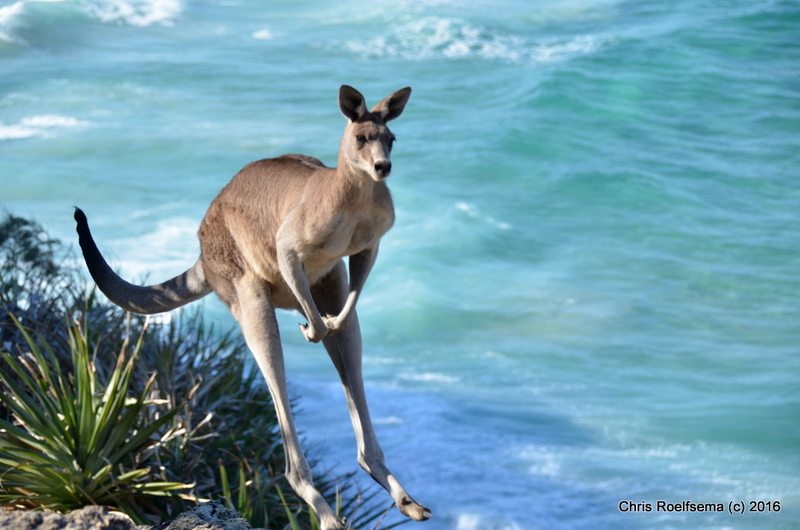 The Moreton Bay community is a model example of how robust citizen science programs help ignite support and ongoing passion for marine protected areas. Moreton Bay achieved Hope Spot status this past November and offers a model of citizen engagement and responsible marine stewardship. A mecca for marine biodiversity, the Moreton Bay Hope Spot in Southeast Queensland, Australia, hosts a diversity of species within its matrix of mangroves, mud flats, seagrass, coral reefs, and sand islands. 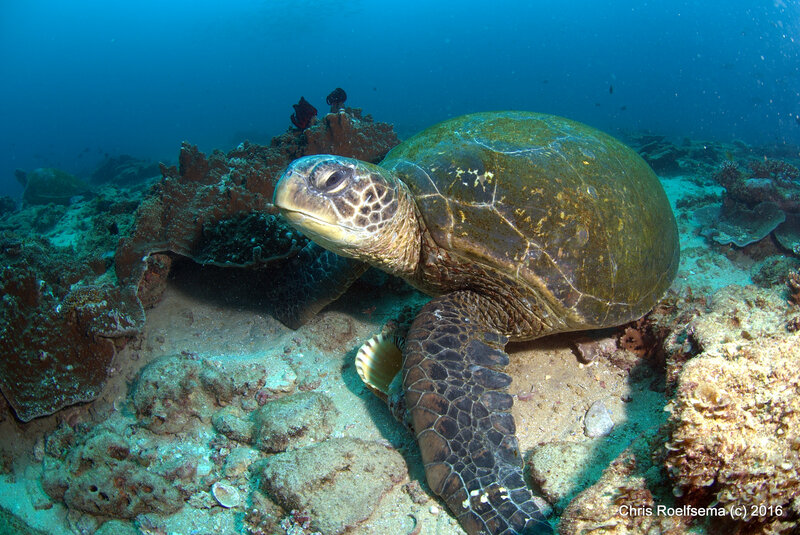 The subtropical location invites habitat for marine life such as dugongs and sea turtles, as well as seasonal visits from manta rays, humpback whales and grey nurse sharks. What you may find surprising is all of this incredible diversity lives on the doorstep of Brisbane, a major metropolitan city with more than 2 million people! Even with such a big population, a short boat trip is all it takes to observe dugongs in seagrass beds, snorkel above stunning reefs, and dive with critically endangered marine life. However, proximity to a rapidly growing cosmopolitan population places pressure on this incredible ecosystem. In the last 150 years, Moreton Bay has been exploited for coral mining, sand mining, whaling and seafood. And given its proximity to a major city, it faces increased pollution from coastal development and land based run-off. Yet, Moreton Bay has a long history of grassroots activism. In the 60’s, the community campaigned against plans for a canal estate and mining which decades later, resulted in the creation of the Moreton Bay Marine Park, declared in 1993. The backbone of the community, consisting of local conservationists, scientists, tourism groups and educators, is still at the heart of Moreton Bay. 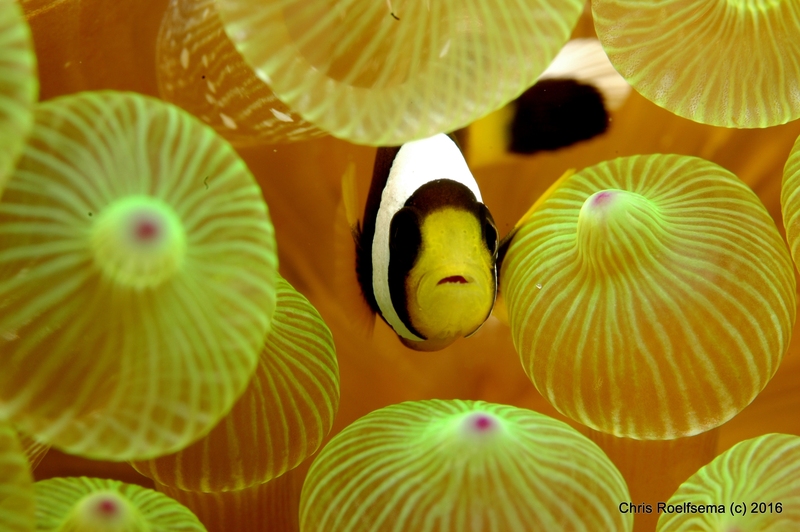 Currently, 16% of the marine park is designated as “no-take” and 8% has ‘conservation status”- meaning there is a limited amount of recreation and commercial activities allowed. Trawling is not permitted in 30% of the park while slow moving turtles and dugongs are protected by additional “go slow” areas. “In a time when our marine environments need more champions, it’s incredibly inspiring to see citizen science as a force that has help to unite the numerous stakeholders that care about Moreton Bay and highlight this unique place on an international stage,” says Jennifer Loder Director of Programs and Partnerships for Reef Check Australia. 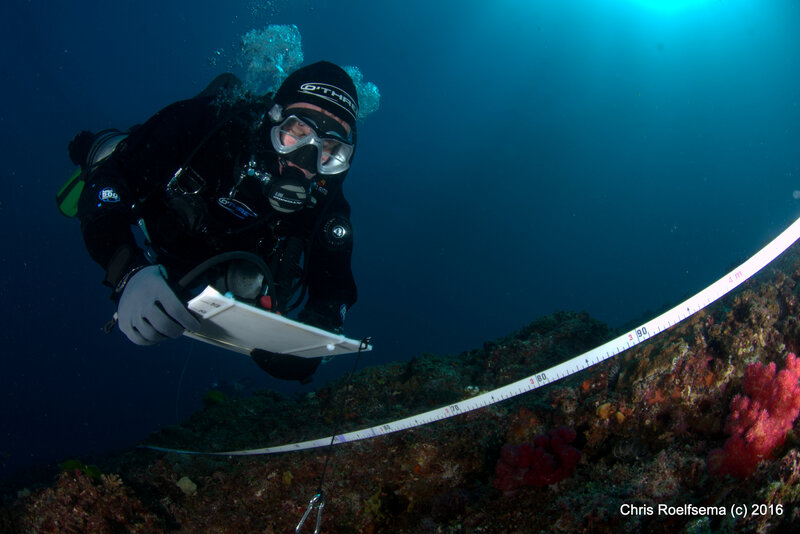 Roelfsema, who uses satellite imagery to observe coral reefs and seagrass, has a passion for citizen science and is a member of The UQ Underwater Club (UniDive) where he organizes a number of citizen science projects. Citizen science projects in the region provide community-based training, resources and databases for surveying and photographing marine life. Learn more about some of these initiatives below. Unidive strives to create a socially-vibrant community for certified divers and free divers to learn and grow together in a safe and supportive environment. The group conducts ecological assessment and mapping of the marine environment using a community based, cost effective, scientifically sound survey program. 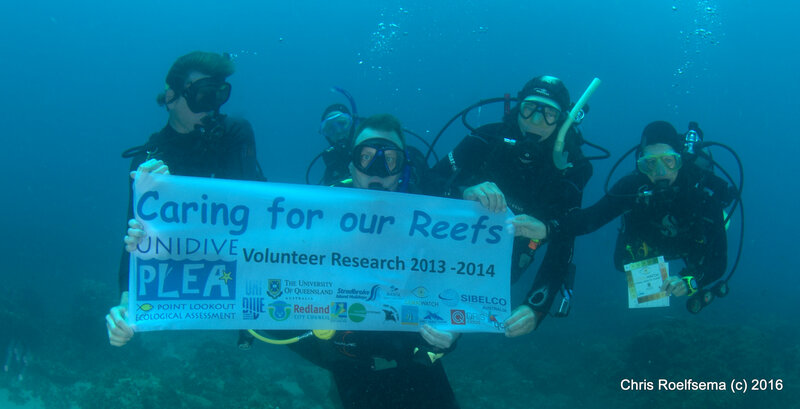 Reef Check Australia empowers trained volunteers to conduct reef habitat and health monitoring projects across the Moreton bay region. 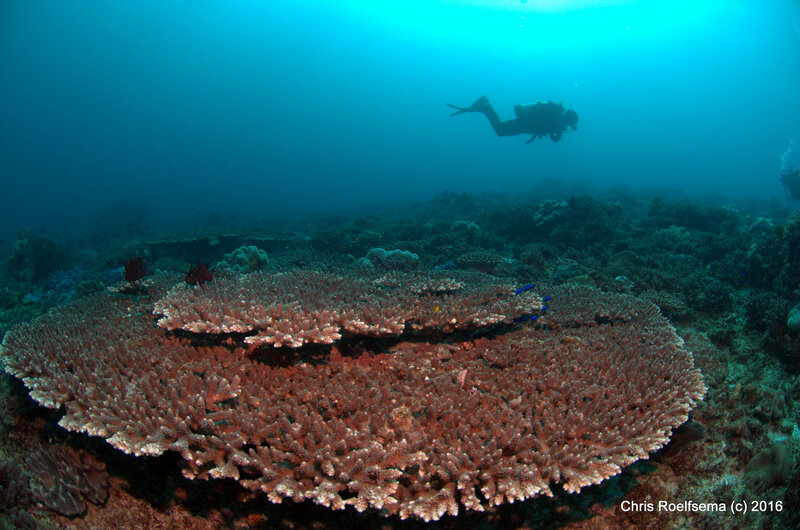 The long-term monitoring data provides important information on the condition of 18 sites across 8 inshore and offshore reefs. The program collaborates with partners for data collection and community outreach activities to inspire greater awareness and action for the regions unique reefs. CoralWatch lets everyday citizens to undertake surveys of the health of corals using the Coral Health Chart. Their programs help non-scientists around the globe understand and support effective reef management by using engaging tools that provide people with accessible information and hands-on-experience collecting scientific data about coral bleaching. There are numerous other marine citizen science initiatives in the region including Project Manta, Grey Nurse Shark Watch, Mangrove Watch and Seagrass Watch. The Hope Spot nomination was fueled by citizen science, but Moreton Bay, also known as Quandamooka to its Traditional Owners is valued, researched and managed by many people and organizations. The Quandamooka people are the Traditional Owners of the region and have lived on, managed and cared for the lands and seas surrounding Minjerribah (North Stradbroke Island) for at least 25,000 years. The Department of National Parks, Sport and Racing is responsible for managing the marine park, with day to day management coordinated by the Queensland Parks and Wildlife Service. The catchments and waterways of South East Queensland, including Moreton Bay, receive a health grade based on water quality, habitat and ecological process criteria through an annual Report Card program delivered by Healthy Waterways and Catchments. Several universities conduct research in Moreton Bay. In the next few years Moreton Bay park is up for zoning review which will open dialogue around regulation and enforcement, while the Quandamooka people are also investigating options for potential World Heritage recognition. The future growth potential of citizen science in Moreton Bay enables cost-effective, community-driven opportunities to foster scientific knowledge and innovative natural resources management of the marine environment. The volunteers involved in marine conservation in the Moreton Bay Hope Spot are a shining example to individuals and organizations around the world, and with hope, will inspire further action and effort to protect the ocean.